Yes! 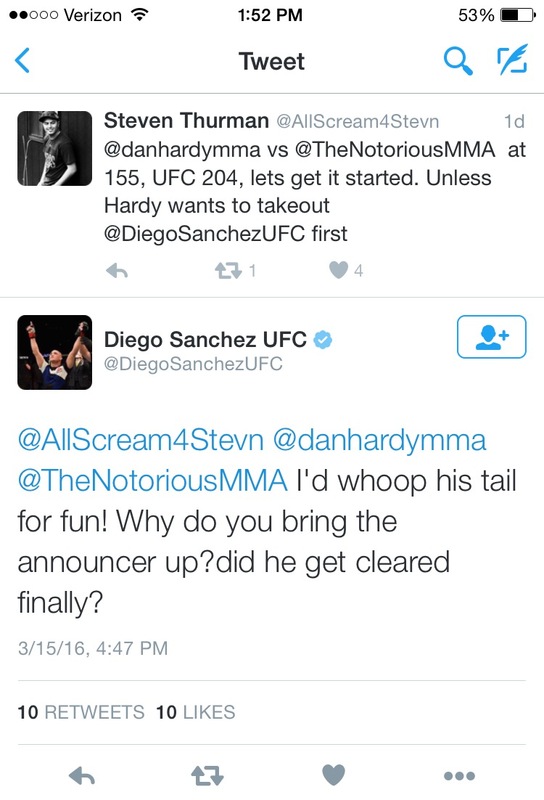 Yes, to Diego Sanchez feuding with folks on Twitter and yes to Dan “The Outlaw” Hardy returning to the UFC. 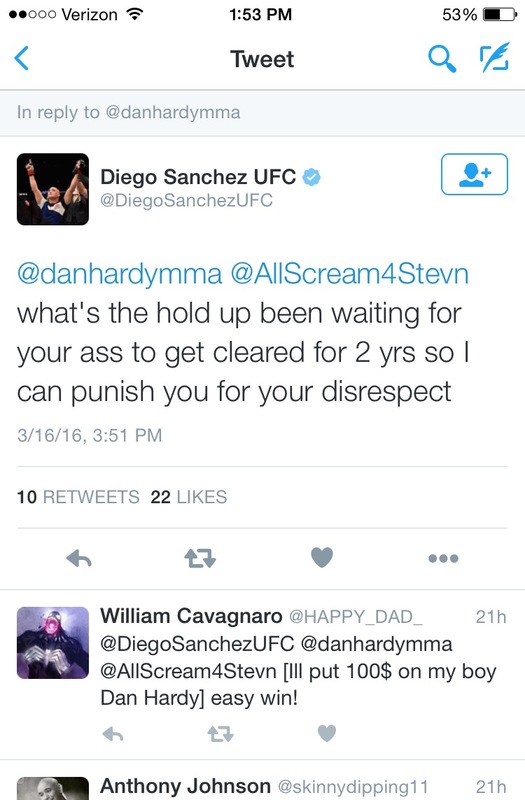 Coming off a win over Jim Miller, Diego Sanchez is back to doing Diego Sanchez like things. 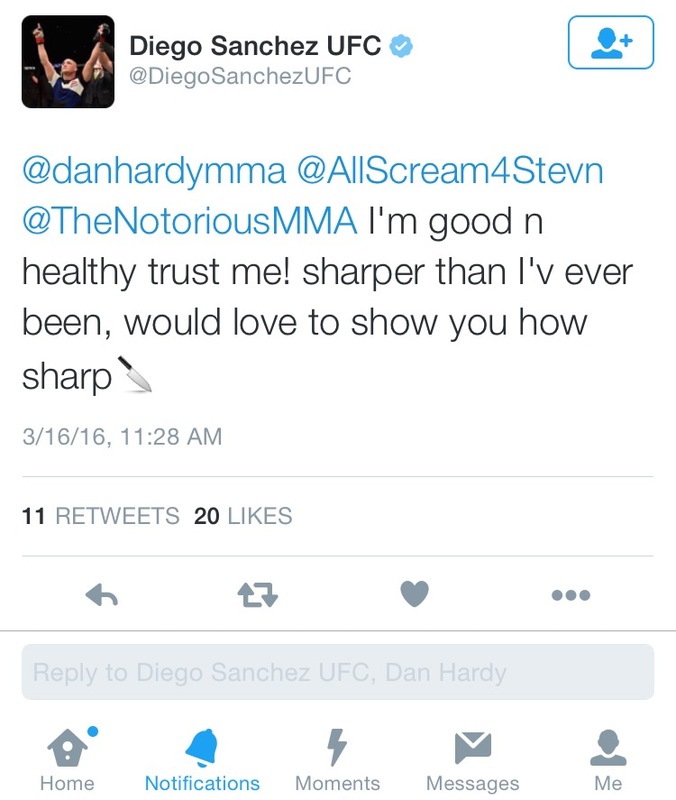 Sanchez was riding a wave of odd, angry, inspirational, happy and strange tweets before his world bumped into Hardy’s. 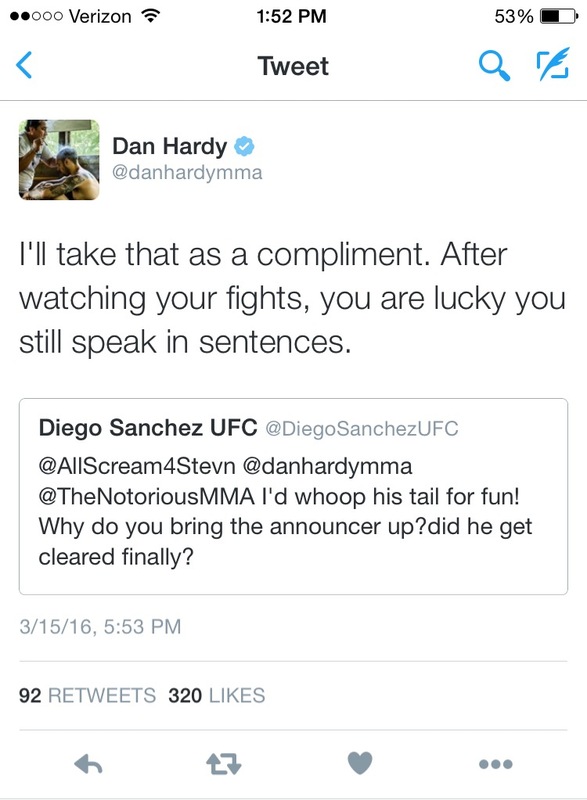 Hardy hasn’t fought in the UFC in four years, was diagnosed with Wolff–Parkinson–White syndrome, and currently serves as head color commentator for UFC Fight Pass shows but none of these facts deterred a raging Sanchez. “The Nightmare” will spin in circles until he gets dizzy then start a feud with his own body for feeling motion sickness. 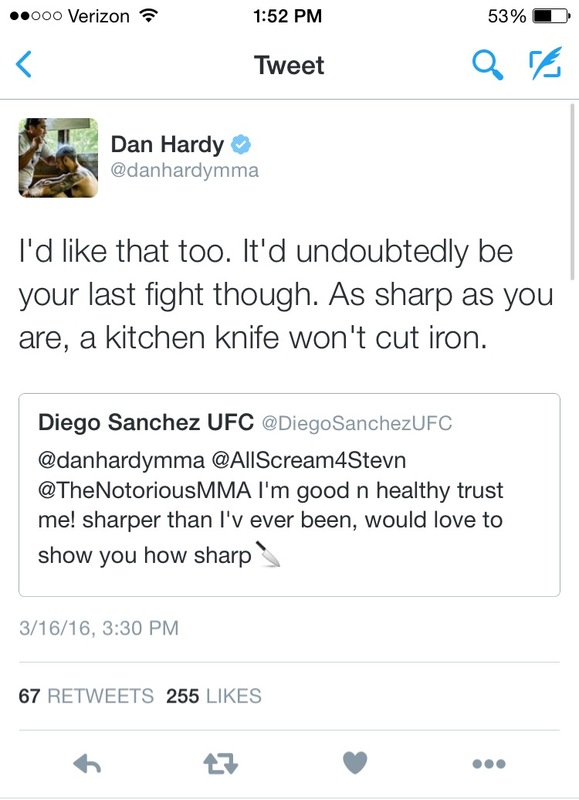 In this beef Hardy called Sanchez a kitchen knife and “The Nightmare’s” soul will never be the same again as he compares his own existence to that of an everyday household object. Some next level minds games from “The Outlaw”. Next articleVideo: Joe Rogan is a Secret Character in EA Sports UFC 2 and it’s badass.